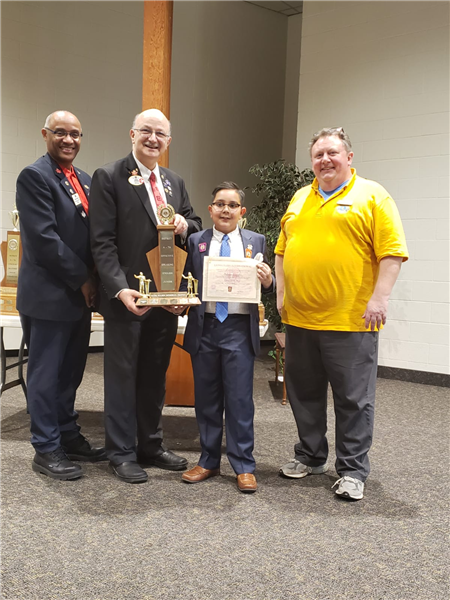 Our very own MacLachlan College student has won the 2019 Lions District Public Speaking Junior Competition and will be heading to the Provincial Championships on May 4th where he will compete against the top 10 speakers in Ontario. Ishan's entertaining speech on the greatest necessity in the world - toilet paper, left the judges and audience laughing and wanting more. Ishan has been training for 4 years, has won numerous awards in public speaking and now heads to the Provincials for the first time. Congratulations Ishan!